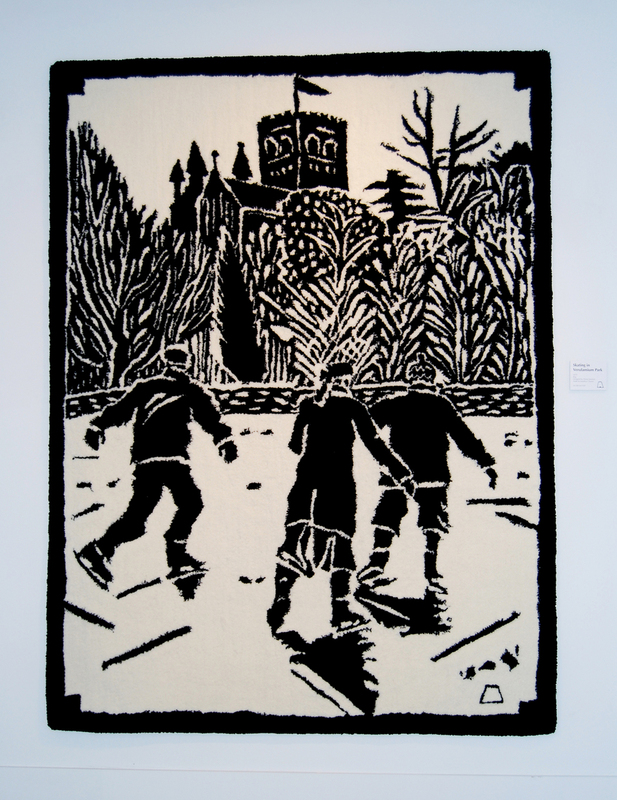 Following on the success of Dione Verulam’s collaboration with Dovecot’s weavers to create the Ski rug, Dovecot once again turned to the artist’s extensive portfolio of work to create a rug based on an image of skaters. Again the scale of the rug truly suits the image, giving both a striking sense of movement in black and white and a textural feel in the rich wools used at Dovecot. Edition 1/20 is sold. Please contact info@dovecotstudios.com to enquire about lead time on commissioning the next edition.